You can now enjoy MoBerries new pay per hire model. This model allows you to receive candidate matches and try out our platform without any upfront fees. Leverage AI matching to find most suitable candidates and hire faster. Access a pool of active candidates from a trusted recruiter network. Thanks our sharing network, take advantage of industry-leading pricing per position. 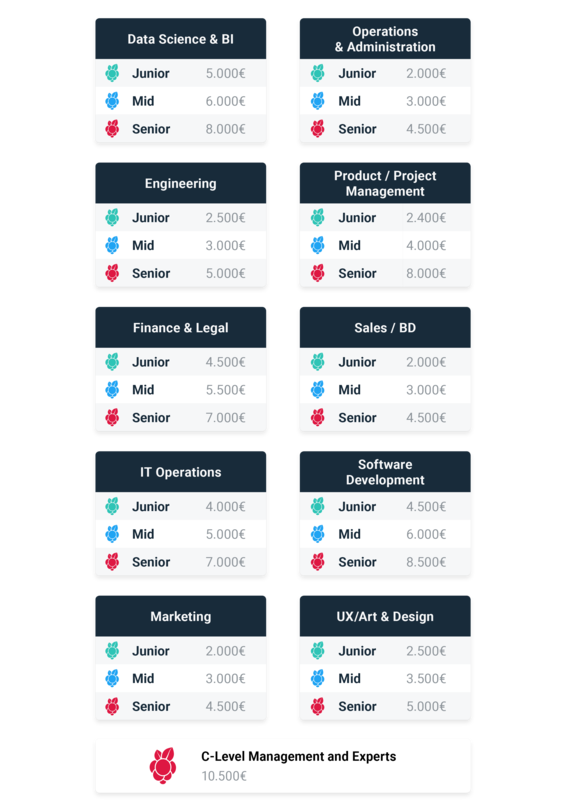 Note: The prices in the chart below are estimates based on the job category & seniority. Final pricing can be found when reviewing a candidate (see the hint in their profile). This price is related to the candidate's level of seniority. By accepting the candidate you agree to the related fee should they be hired. For your reference, download the table as a .pdf file.